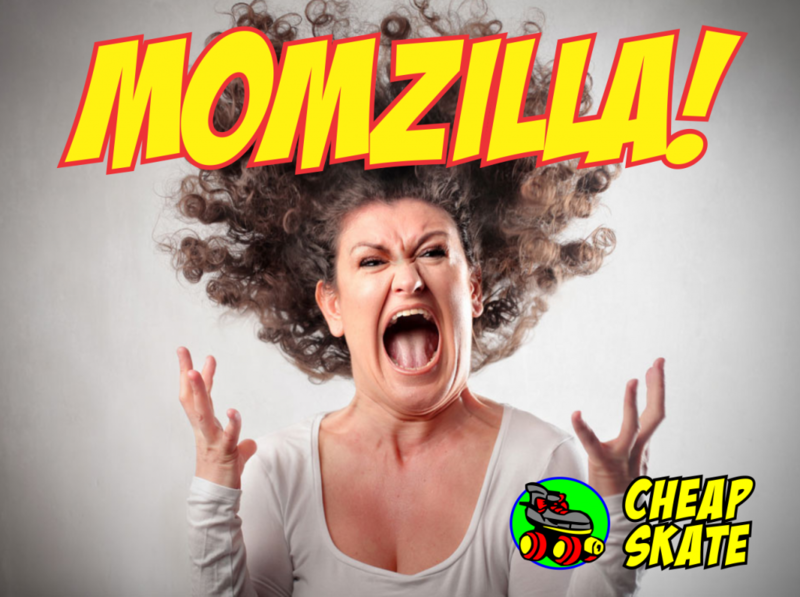 Are you the dreaded Momzilla! If so, you can win a private birthday party for up to 30 darling children! Enter below! Show us your best Momzilla face! Private birthday party valid for up to 30 skaters. Click here for details. Are you the Momzilla? Enter to win a private birthday party for up to 30 skaters ($350 value). All you have to do is show us a picture of your best momzilla face! We will pick one lucky winner and announce it on Facebook at the end of April 2019.All information submitted to Cheap Skate via this form will be held strictly confidential. It will not be shared or to sold to any third parties. It will remain the property of Cheap Skate. Show us Momzilla in action!